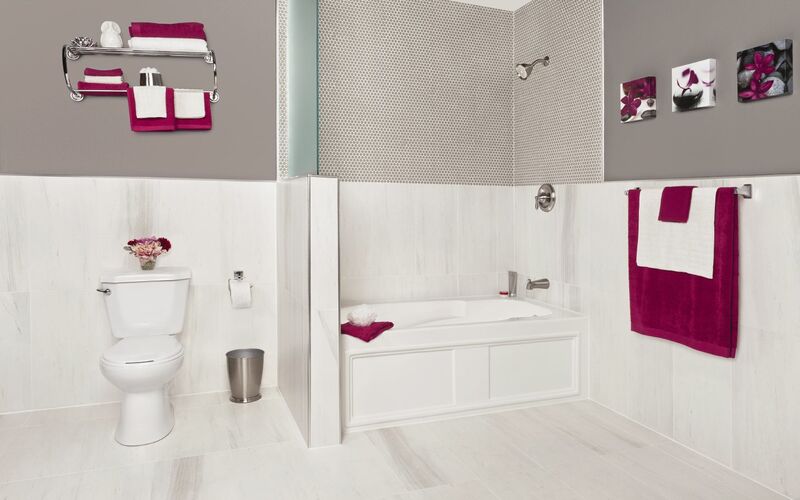 Brushed chrome profiles complete the look of this modern bathroom. 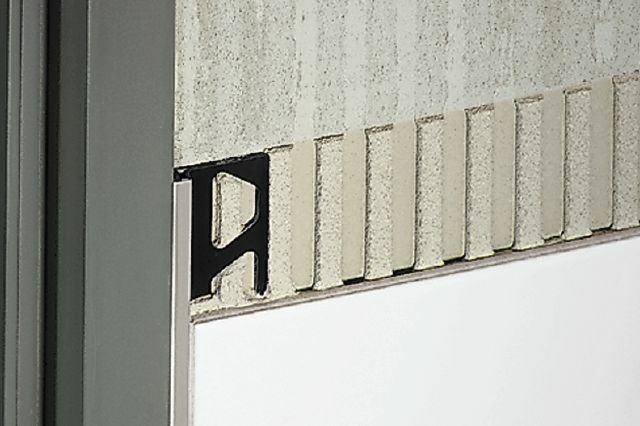 RONDEC bullnose profile and corners used to finish the tile edges on the walls. 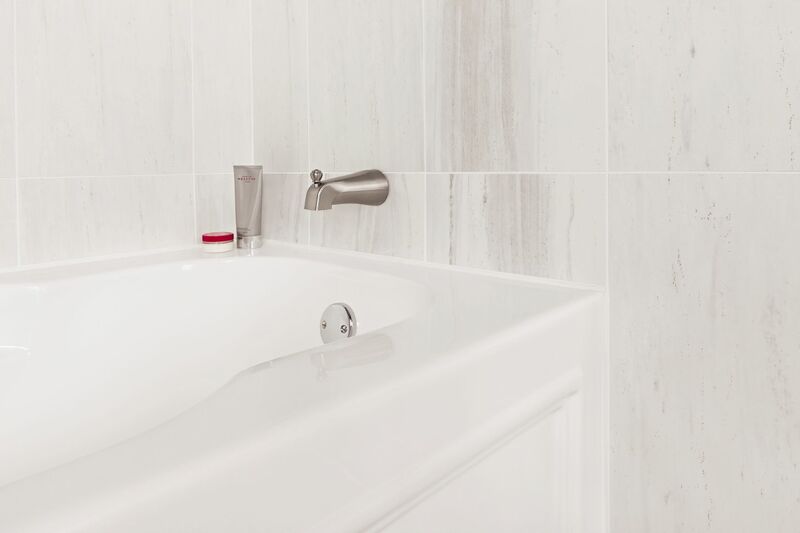 DILEX-BWA PVC corner movement joint profile in bright white used to create a seamless transition between the tub and walls. 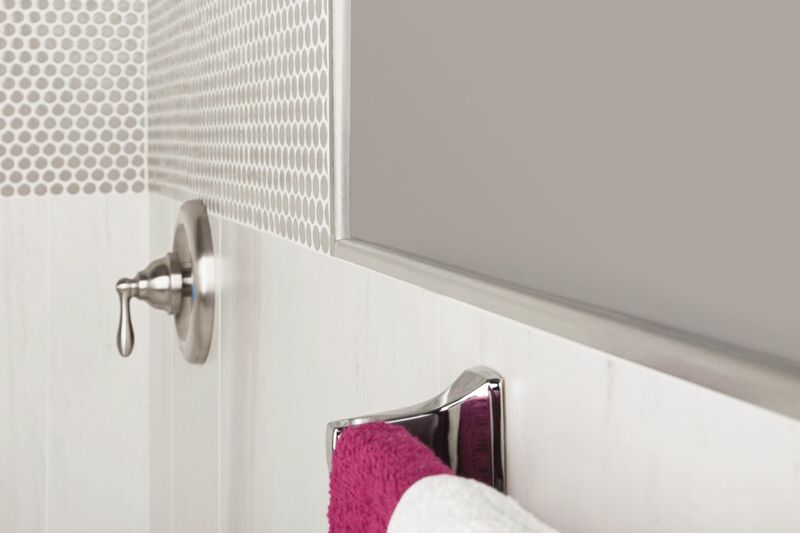 Building a shower and partition wall with KERDI-BOARD eliminates extra steps by providing stable, waterproof backing. RONDEC bullnose profile and corners used to finish the tile edges on the walls. 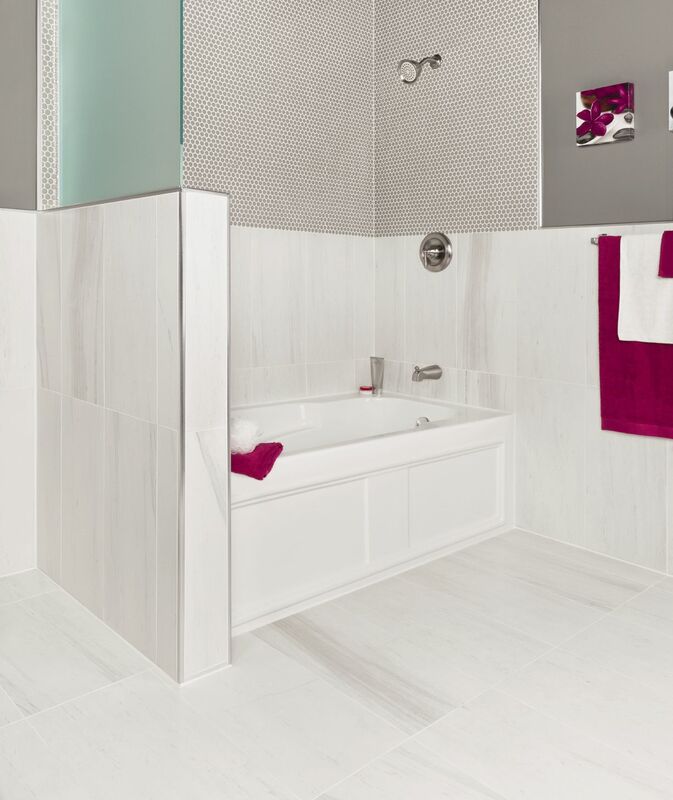 DILEX-BWA PVC corner movement joint profile in bright white used to create a seamless transition between the tub and walls. 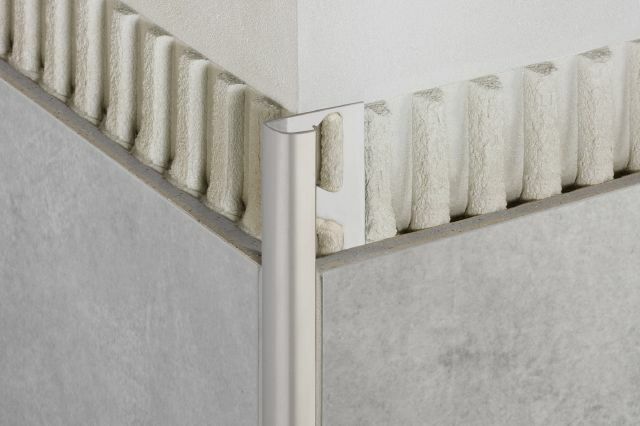 RONDEC bullnose profile and corners used to finish the tile edges on the partition wall. RONDEC bullnose profile and corners used to finish the tile edges on the walls. 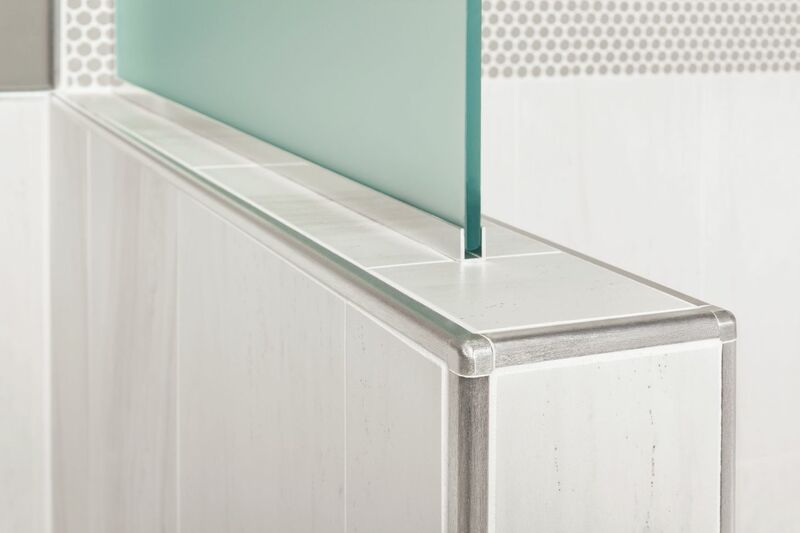 DILEX-BWA PVC corner movement joint profile in bright white used to create a seamless transition between the tub and walls.